Comment: I would like to get an estimate for exterior for second level. Trim only. Comment: old house, door casings need a coat. Comment: Brick home. Remove paint around windows, doors, fascia, trim and repaint. Paint back door, garage door and metal siding in addition. Comment: 1911 Arts and Crafts home, but NOT on the historic registry. Lots of wood trim and beams to work around, but otherwise straightforward interior ceiling and walls. Comment: Prepare the exterior house for paint. Supply and apply one (1) paint color for the body and soffit, one (1) paint color for the trim and fascia, and one (1) paint color for the front door and garage door. Spokane Painting Contractors are rated 4.79 out of 5 based on 398 reviews of 44 pros. 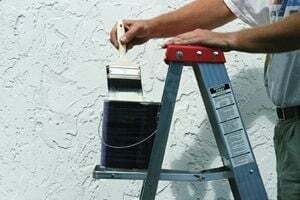 Not Looking for Painting Contractors in Spokane, WA?